They called it the “Douglass Farm” before the road was much more than a dirt track. Henry Douglass was farming in the area in the late 1840’s. As the city’s first alms house and poor farm where in this area as well, he may have had something to do with said operation. When J B Brown and St John Smith purchased the land in 1856, it was in possession of Levi Weymouth who had been operating the alms house and poor farm. How or when he acquired it remains a mystery. What is certain is Messrs. Brown and Smith had a handsome, if plain, brick house in the ‘old’ style built. It’s mostly Greek, which was rapidly falling out of style in the period, with some hints of Federal in its massing. Most notable is an odd lack of balance in its fenestration. The overall plainness of the building reflects it’s being built as an income property. The house’s form and the columns/pilasters of brick with a heavily molded entablature and gable is common and can be found throughout the city. The image above is cropped and in black and white to, hopefully, emphasize the imbalanced nature of the door and window arrangement. For reasons unknown, the builder or designer, if there was a designer, chose to shift the openings to the left some 2 feet. I at first wondered if the builder/designer was trying to make the front look more balanced given the angled nature of the lot and its relationship to the street. That seems unlikely as the skewed nature the this connection is a result of the modern street layout and not what may have been there in 1857. Perhaps the interior arrangement drove the placement of the door and windows but that seems unlikely as well. It is, in the words of Yule Brenner, “A Puzzlement”. Much has been written about John Bundy, J B, Brown but St John Smith is somewhat less well-known. He was born in Topsham in 1799. He moved to Portland sometime prior to 1830 as his first appearance in the registry of deeds is June of that year when he gave his residence as Portland. Beckett’s directory of 1835 listed Smith as a merchant in business with J B Brown, a director of the Canal Bank and living on Brown Street at that time. The broken lintel is a sad sight. Brownstone, if not of the best graining, can fail due to freeze/thaw cycles fracturing the stone. By the early 1850’s St John Smith had partnered with T C Hersey in a wholesale firm. That business did not last long as by the end of the decade, Smith was in business on his own and Hersey was in business with Jonathan Fletcher. As the build date of our subject shows, Smith may no longer been an active business partner with J B Brown but the two were still working together in real estate. The portico is quite severe in its design. Unadorned pilasters with simple capitals abut a simple entry with inset panel above. All this is capped with a nicely scaled pediment. The whole arrangement works well with the simple lines of the house but would also have been at home on a yeoman’s house of 50 years earlier. There is another entrance on the long side of the house to the right that is more ‘conventional’ with some very chunky brackets and two entrances. Was the house always intended as a two family perhaps? In 1858, Brown and Smith sold the property to a housewright named Mahlon Akers. Akers took two mortgages, one with Smith and one with Smith and Brown, for $350.00 in total. Smith and Brown foreclosed in 1861. The pair would retain ownership of 457 St John Street well beyond the deaths of both partners, Smith in 1878 and Brown in 1881, until 1915 when both estates petitioned for a legal commission to divide the shared properties. This was granted and the 4 heirs of Smith received our subject. The following year, ownership was transferred solely to James Hopkins Smith. Smith was a stock broker who, in 1895, commissioned John Calvin Stevens to design a cottage on the Falmouth Foreside. Stevens obliged with one of his most creative and iconic shingle style cottages, “Stonecroft”. After holding 453 St John Street for a little under 6 years, James Smith sold it in 1922 to a retired traveling hardware salesman named John C Seavey. Seavey was born in Scarborough in 1855. He had married Sarah Ross in 1883. The 1910 census showed them living on Prout’s Neck in Scarborough with a 40-year-old daughter named Emma. Emma was, most likely, Sarah’s daughter from a previous relationship/marriage as her last name was Foster. Sarah died in 1914. That same year, John Married Jessie Goth Mayorga, a first generation German-American divorcee who was some 18 years younger than her husband. When John died in 1932, his will passed the home to Jessie. She sold it in 1944. The purchasers in 1944 were Egnac and Margaret Backiewicz. Egnac was born in Russia in 1888 and Margaret in Austria in 1891. They came to Maine sometime prior to 1917 as their eldest daughter was born, in Maine, in that year. The 1926 city directory put the family on Salem Street and Egnac working as a laborer. For the 1940 census, they were on Brackett Street and Egnac was working as a baker as was his next door neighbor John Canning. Were John and Egnac coworkers perhaps? It is very possible that Egnac and Margaret were Jews escaping pre-revolution Russia and the collapsing Austro-Hungarian Empire. 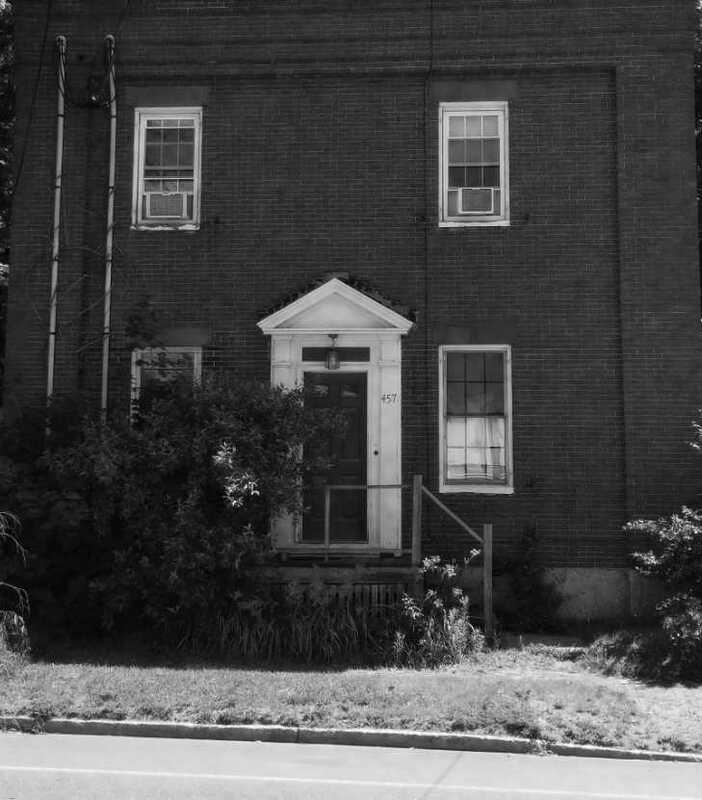 In 1946, they transferred ownership to their daughter Mary and her husband Dorus Dickson who was a plumber who had grown up in South Portland. 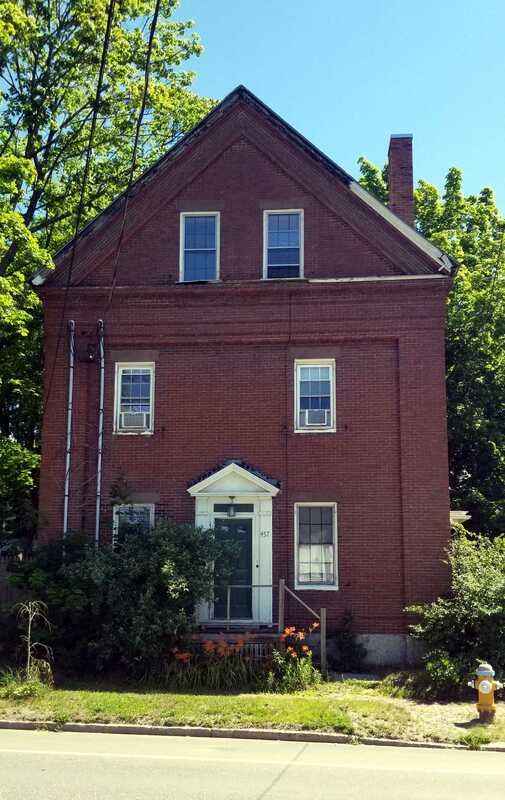 In 1951 Dorus and Mary sold 457 St John Street and moved back to South Portland.